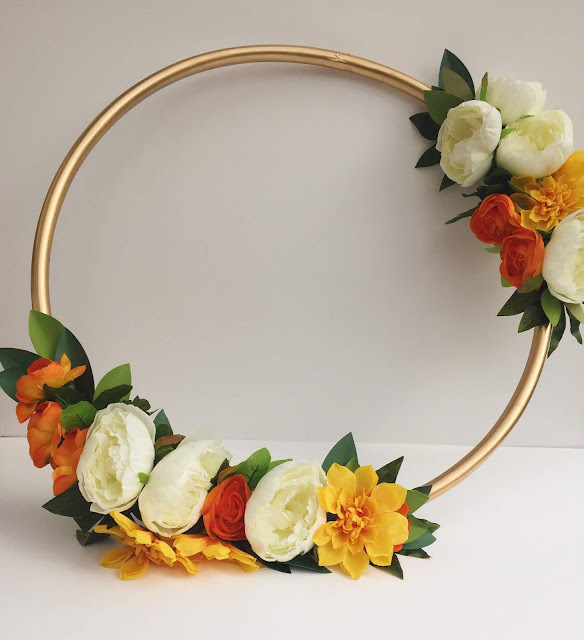 Am I the only one who has been seeing thousands of these beautiful gold hoop wreaths all over Pinterest lately? They looked so elegant - and easy - to me that I just had to try and make one myself. 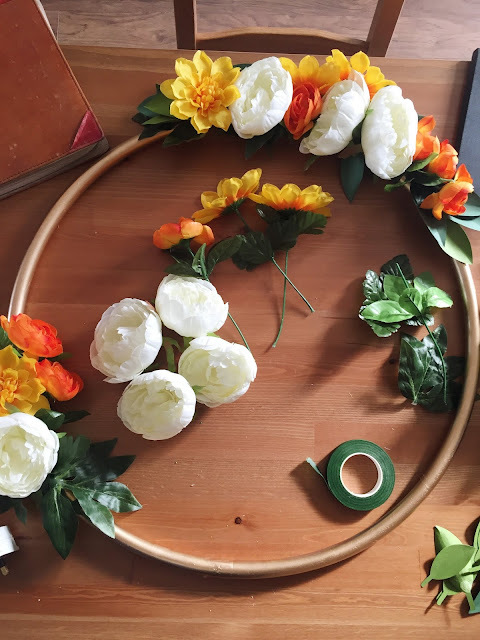 A few hours of happy quiet with my glue gun later, I had a cheerful and inexpensive autumn wreath. I snagged my hula hoop on sale at Asda for £1, the spray paint and flowers came from Wilko. I used my Cricut to cut out the paper leaves but you could easily do it by hand - I had about 10-12 of a variety of sizes in both light and dark green. 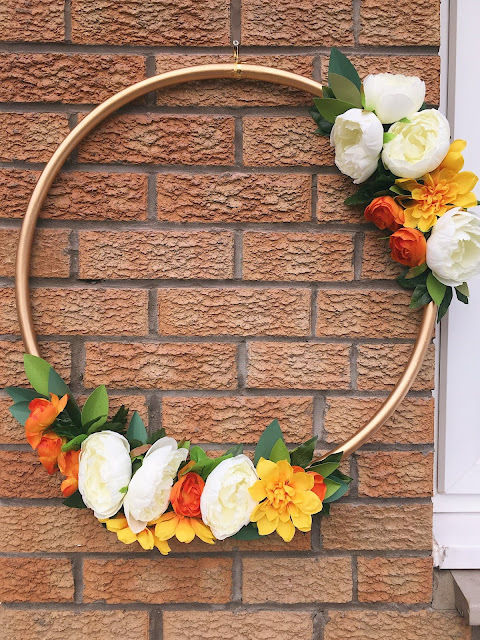 I took the peonies off their stalks and used the wire cutters to snap the orange and yellow flowers down to the joining bit. Don't get rid of any extra greenery as you'll need this later! I did mine in several coats as I'd gone a bit too heavy with the spraying and there were some drips down the sides. Once it's dry, bring it in to a nice flat surface and get your glue gun going. I took the flowers and basically bent the stalks into the shape I wanted, holding them against the hoop and then gluing them in place. 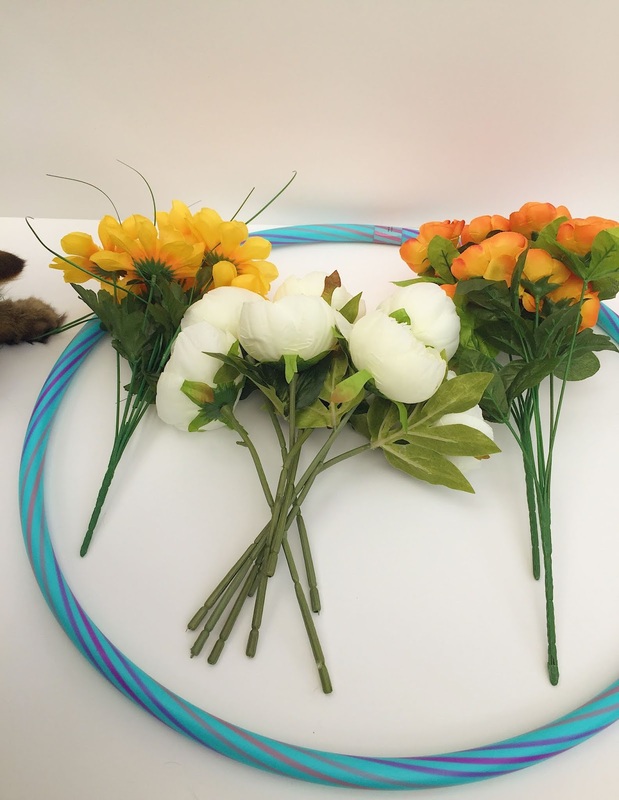 Be sure to hold the flowers down until the glue is dry otherwise they'll pop off. 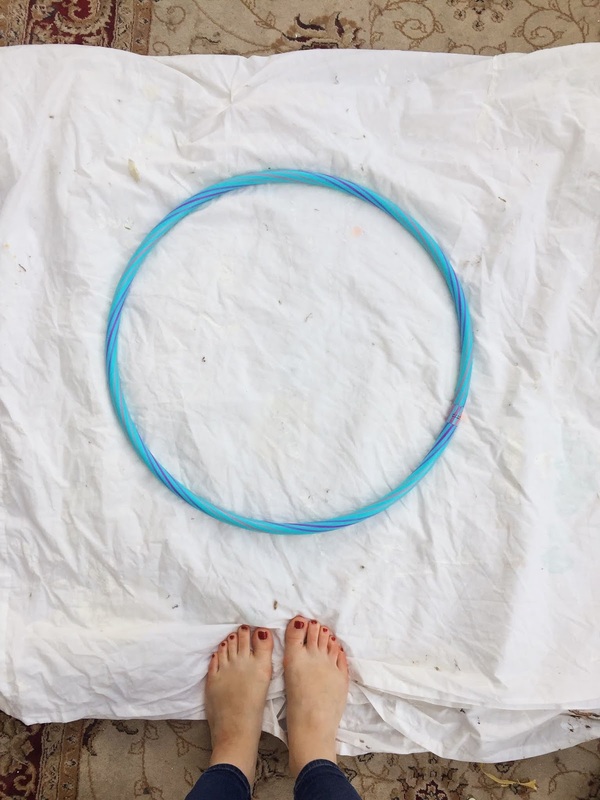 Then I taped the stalks down to the hoop with the floral tape. I layered the flowers and the greenery until I got the look I wanted. The peonies were easy to stick on, too, I put a nice gob of glue down and then pushed the bud of the flower into the glue until it dried. I used the paper leaves and spare greenery to fill in any gaps and cover places where the floral tape was peeking out. I was pretty happy with how it turned out, now I've just got to figure where in the house I'm going to put it! I love this! Thanks for sharing! 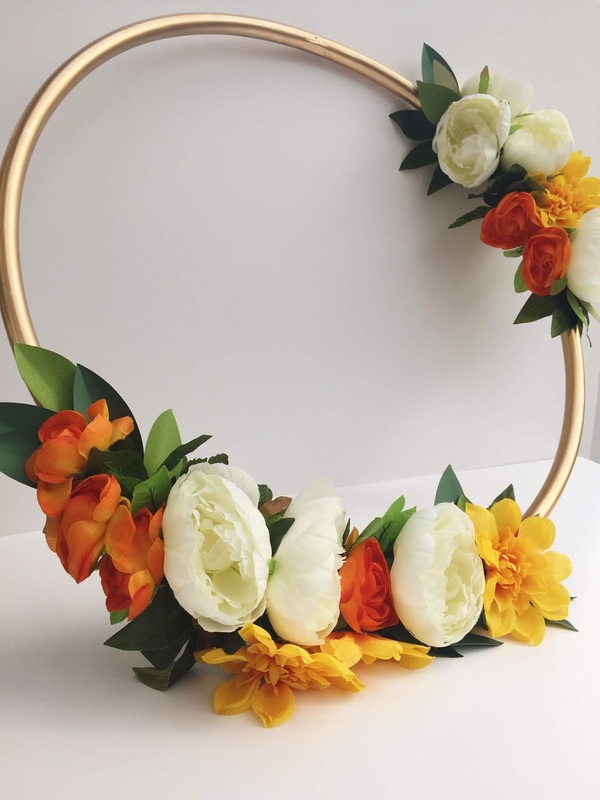 I love DIYs and especially all things fall! Glad to see you blogging again!